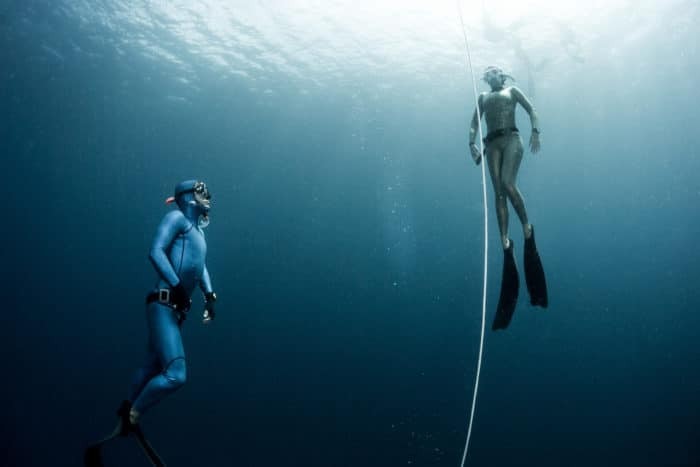 Every once in a while in the freediving community, a lively debate is sparked over whether it matters to learn freediving from a certified freediving instructor or just another fellow freediver (certified or not). There are freedivers and non-certified agencies that teach freediving to beginners without any credentials to back themselves up. It is known that freediving is a safe sport, despite what sensational media may report, and this is true; it is safe when done correctly and with a trained buddy.  So why should you specifically choose a certified freediving instructor? Certified freediving instructors understand safety. Certified courses make safety a priority, not only because it is the moral thing to do, but because they will be left liable if their standards are not centered around safety. If a student gets injured, the instructor, the shop, and the organization itself could be held liable if safety standards are not taught and practiced. Instructors are prepared throughout their courses, with an emphasis in the actual instructor course, on safety-related issues. This includes conditions to dive in, bad habits that can open students up to injuries, and rigorous rescue training (including CPR certification, which is essential for anyone in an instructor role) in case an emergency does arise. Instructor courses usually have depth requirements, which means that these instructors have reached deep depths and understand what safety concerns may arise the deeper a freediver goes, common injuries that can happen, how to prevent them, and how to handle these injuries if they do occur. 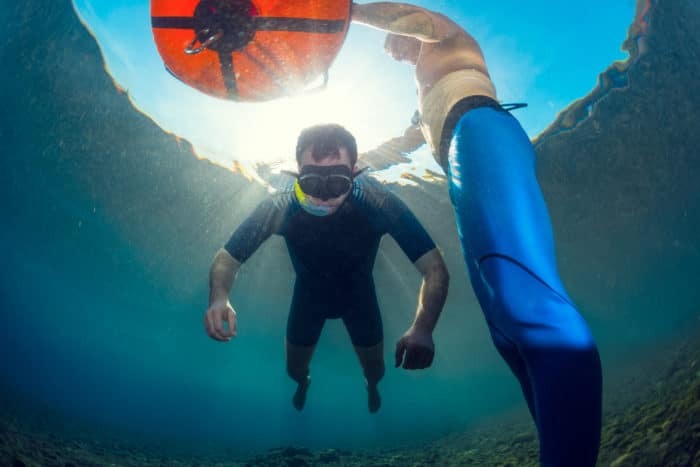 A non-certified instructor or even a certified freediver (but not an instructor) who is teaching just for fun may not be aware of all of these risks. Freediving is a safe sport when practiced in a safe manner; it can become dangerous when strict safety standards are not adhered to. You can be sure that the quality of information and education most certified freediving organizations have in their manuals has been pored over by many different professional and knowledgable freedivers. This, in turn, is usually verified by members of the medical community, along with lawyers to make sure that the information will not allow the certifying agency to become liable in the case of a lawsuit. This ensures that the information that a student is receiving is as accurate and thorough as possible. These agencies often have their own manuals and PowerPoint slides to teach off of to ensure that their instructors do not miss an important point during theory. They have written exams and passing scores that encourage students to study, know the theory well, and become familiar with it. 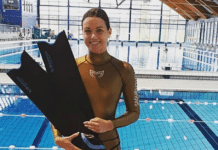 When a future freediver is looking for an agency to obtain freediving certification with, it is important to do research and look at the background of the agency, how long it has been around, and the quality of learning materials that it offers. With enough training, it is possible to get to 30m (98ft), for example, on your own. But is it done with the correct technique? Personally, I have seen self-taught freedivers rushing to these depths and making it back up, yet their necks are extended the entire dive, their movements are erratic, the technique is abysmal, and relaxation is absent from their dives. Often they will come up with blue lips and large eyes, panicked, and yet still…they technically achieved the depth. This is not a safe way to dive and is potentially dangerous the deeper a freediver goes and the longer their dives are. If this person starts teaching other potential freedivers, they become the example of the technique. Instructors from certified agencies have standards regarding technique since the certifying agencies are aware that their instructors are their representatives. An Instructor Trainer verifies that these instructors perform requirements and dives with role model quality since students will be learning and copying the technique of the instructor. It is true that there are freediving athletes that might have had just one certification course, or none at all, and have fantastic technique, but are you learning from these athletes, or from someone else? You may be the first student of a newly-certified freediving instructor since everyone has to start somewhere. They may technically not have any teaching experience, but often during the instructor course and through freediving internships, they shadow instructors teaching properly-structured courses and observe teaching techniques. 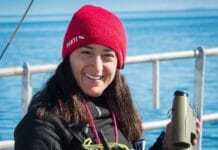 Yet if you have a non-certified freediving instructor who has taught many courses, how can you verify whether their teaching methods are safe and effective? Certified freediving instructors who work out of a shop, or even as freelancers, usually have experience in teaching with a set level of standards, which means that the experience they have is reliable. No reputable freediving center would employ an instructor that might potentially embarrass them and tarnish the center’s brand, or worse, become a liability for them. Certified freediving instructors also have their Instructor Trainer’s name attached to them, which means an Instructor Trainer would presumably not certify an instructor unless that instructor provided good representation for the Instructor Trainer. 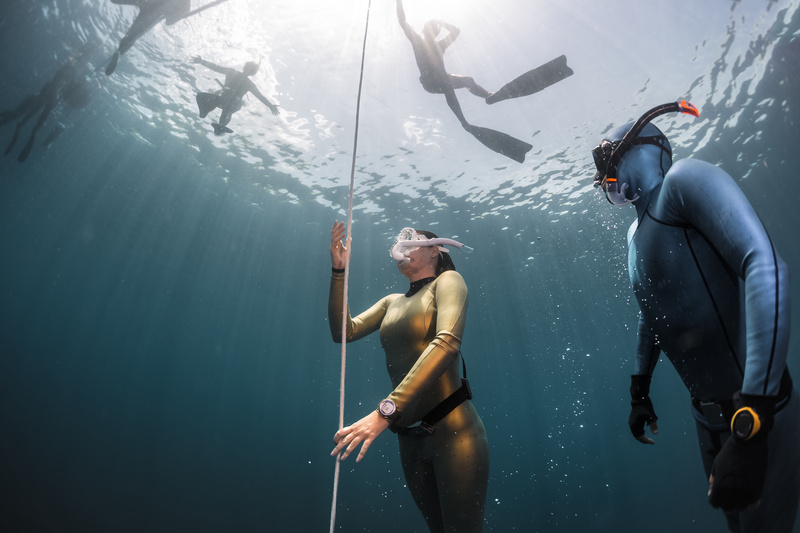 You should verify whether an instructor has experience (and not just any experience, but quality experience) before taking a freediving course with them. Freediving is a safe sport when practiced correctly, but this spectrum includes two opposing extremes: one where people think that freediving is extremely dangerous, and another, where people think that freediving is absolutely safe and natural and that being self-taught or learning from an inexperienced, unlicensed instructor is acceptable. 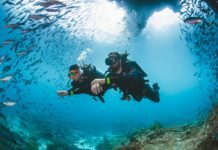 With a little theory under our belts, it is clear that there are numerous potential risks to freediving, such as pressure-related injuries, BOs (blackouts) and LMCs (loss of motor control), diving without a lanyard, bad technique, diving with the snorkel still in your mouth, and why it is important to dive with a trained buddy. This is why it is absolutely essential to have a well-rounded education concerning what freediving really is and what exactly it entails. There is no substitute for a skilled, knowledgable, safe instructor, who focuses on keeping students within their comfort zone and teaches them to respect their limits. Even if you just want to snorkel deeper and not make depth your life, do not discount the value of a complete course; freediving knowledge is important whether you are a deep snorkeler or deep diver. It is the responsibility of a future student to weigh their options: accept a discounted freediving course or training along with discounted safety, quality of theory, and technique, or invest in a course that teaches you how to do something that can be potentially fatal in a safe manner and in a controlled environment. Make sure to think these options through carefully. Do your research, ask questions, and get all of the information possible. After all, it is your life that you are putting in someone else’s hands. Our next article will focus on what certified freediving instructors and freediving centers can do in order to provide proper education to those who cannot afford a full certification course.